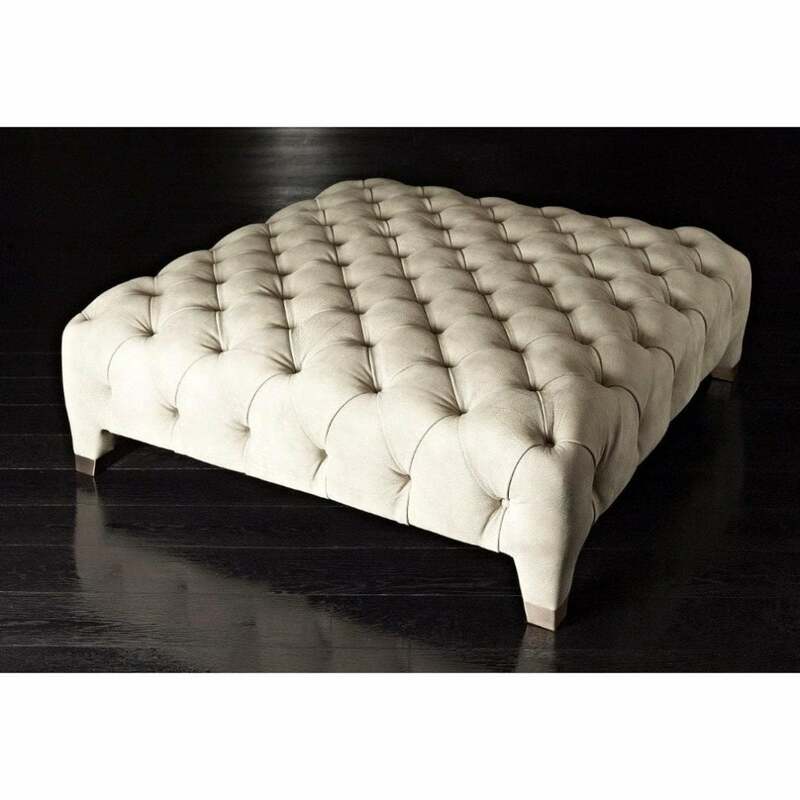 Put your feet up in style with the Cloud Pouf from the Rugiano collection. Upholstered with exquisite capitonné detailing, the pouf is covered with the finest Tessuto fabric or Pelle leather. Choose from a variety of smooth and textured materials to create your own bespoke design. Finished with polished bronze feet, Cloud can be realised in either a square or rectangular frame. The perfect accompaniment to a sumptuous sofa, pair with the Cloud Sofa for a cohesive scheme or add texture to a sleek and minimal sofa design. Available in three versatile sizes to match the scale of your armchair or sofa. Get in touch with our team to request a sample.